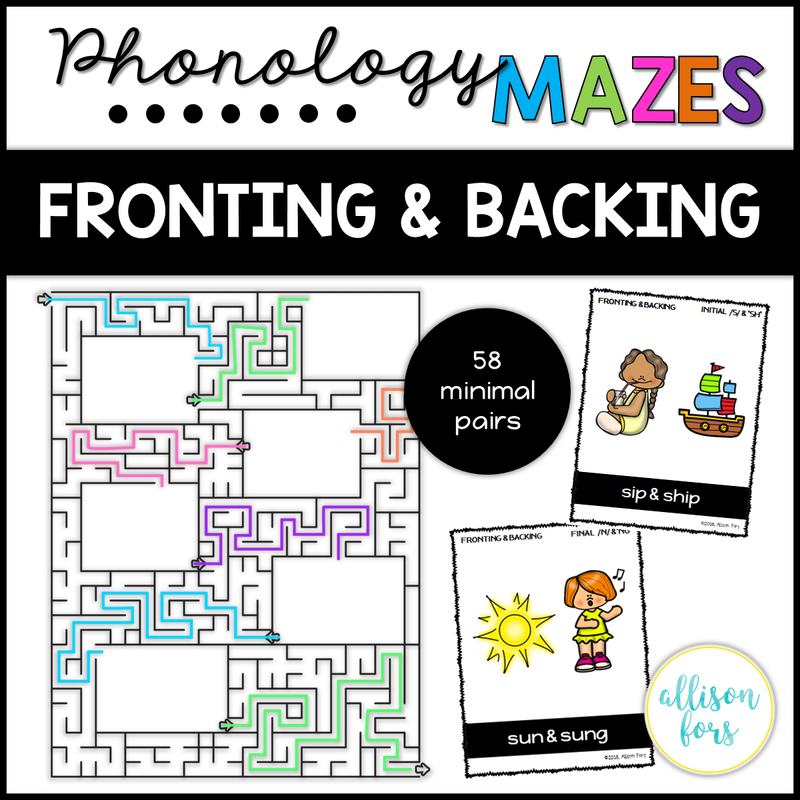 Work on the phonological processes of fronting and backing in speech therapy with these engaging mazes! 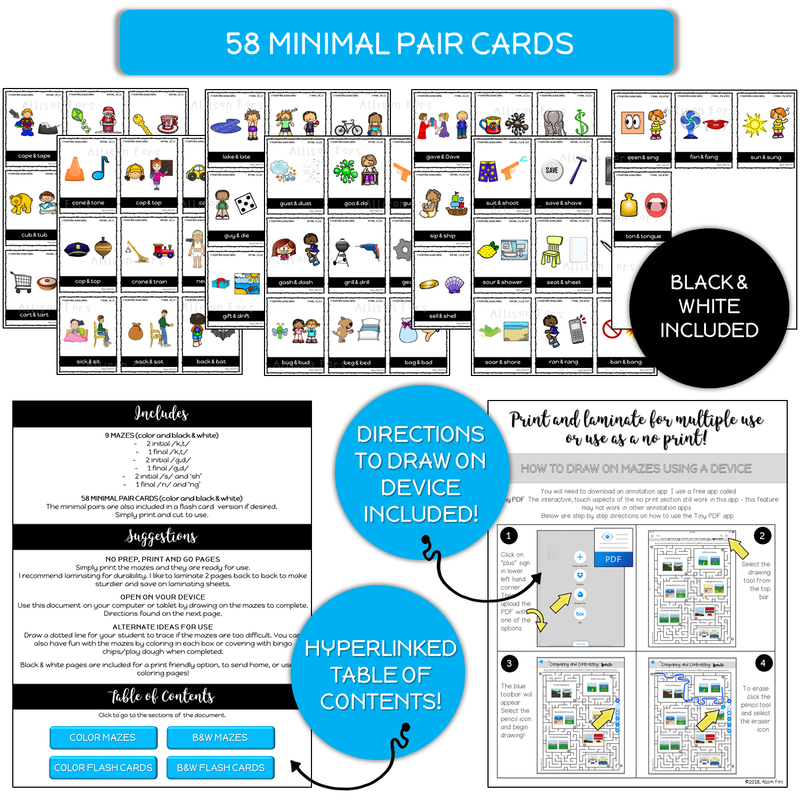 There are 58 minimal pairs separated by sounds and positions in maze and flash card formats. The minimal pairs are also included in a flash card version if desired. Simply print and cut to use. 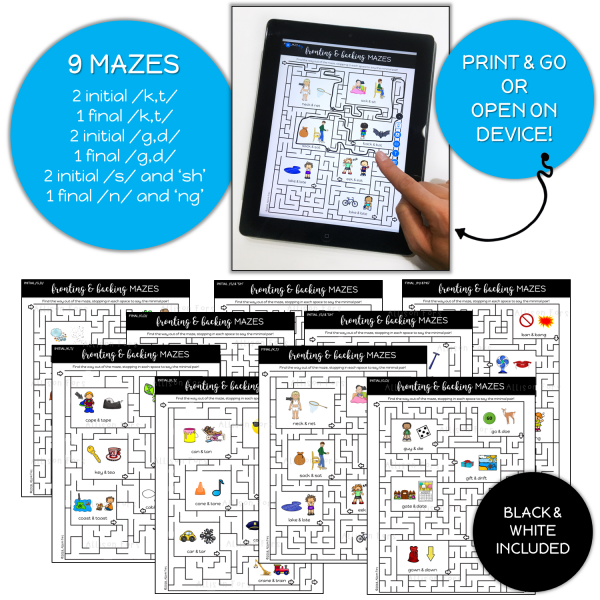 Simply print the mazes and they are ready for use. I recommend laminating for durability. I like to laminate 2 pages back to back to make sturdier and save on laminating sheets. Use this document on your computer or tablet by drawing on the mazes to complete. Step-by-step directions included on how to open and use on a device. Draw a dotted line for your student to trace if the mazes are too difficult. You can also have fun with the mazes by coloring in each box or covering with bingo chips/play dough when completed. Black & white pages are included for a print-friendly option, to send home, or use for coloring pages! Hyperlinked “Table of Contents” included to quickly access different parts of the document when using on a device!